Design, Industrial; New York (State); New York; Exhibitions. Architectural design; New York (State); New York; Exhibitions. Design; New York (State); New York; Exhibitions. Amazon.com description: Product Description: The National Design Triennial, Cooper-Hewitt, National Design Museum's groundbreaking exhibition series, celebrates the most creative and forward-thinking designs, cutting-edge trends, and future horizons across the fields of design practice, from architecture, interiors, and landscapes to product design, graphic design, fashion, animation, and new media. 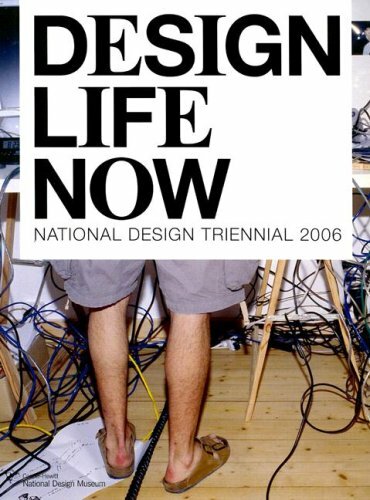 Published in conjunction with the latest installment of the Triennial series, Design Life Now: National Design Triennial 2006 features eighty-seven individuals and companies that are changing the face of design, including Pixar Films, Apple, Google, Nike, Target, Narciso Rodriguez, Tobias Wong, Santiago Calatrava, Herman Miller, and NASA. Four original essays by the exhibition's curators, profiles of the designers, and vibrant illustrations bring to life the ways in which these designers are challenging existing paradigms and expanding our understanding of the design world. Design Life Now is the inaugural title published by Cooper-Hewitt, National Design Museum's new publishing imprint, and marks a historic collaboration with Assouline Publishing, which will sell and distribute Cooper-Hewitt books to the trade worldwide. About: The National Design Triennial, Cooper-Hewitt, National Design Museum's groundbreaking exhibition series, celebrates the most creative and forward-thinking designs, cutting-edge trends, and future horizons across the fields of design practice, from architecture, interiors, and landscapes to product design, graphic design, fashion, animation, and new media.